Every motorist knows that if they drive their car during the summer heat then they run the risk of overheating and getting stuck. However, just because you don’t have a working knowledge of how your engine works doesn’t mean you can’t take steps to prevent this from happening. 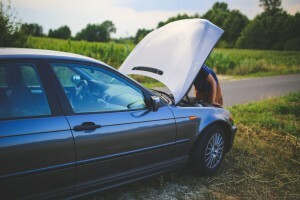 In reality, there are a few tips and tricks which every motorist can use to help keep their engine from overheating and their car on the hot rods longer during the summer heat. USA Synthetics knows a thing or two about engines and has prepared a few easy-to-follow tips below which can help you to do just that! Water Is All That You Need to Put in Your Radiator. Right? While there was once a time when filling your radiator with nothing but water was sufficient, modern engines and cars need a little more help to keep their operating temperatures low. This help comes in the form of coolant. Even though it may look similar to water, engine coolant contains a range of high quality additives and chemicals which, when placed under high temperatures, actively work to reduce the operating temperature of your engine, and, in turn, prevent your engine from overheating. If you are using nothing but water in your radiator, this summer is the perfect time to flush it out and replace it with a high-quality engine coolant. Watch out for the Temperature Gauge! The most common action which many motorists take when they see their temperature gauge start to rise is to cross their fingers and legs and hope upon hope that, magically, it will start to go down, taking the engine temperature with it. Instead, in reality, the gauge keeps going up until the radiator cap pops off and steam pours from your engine, leaving you stuck in the middle of the road waiting for help to arrive. The best way to prevent this from happening to you is to simply pull over safely and switch off your engine. Leaving your engine turned off for even 30 minutes can lower your temperature enough to either get you to your destination or back home so that you can take care of the problem. Click here to buy Passenger Car & Light Truck Antifreeze & Coolant and keep your car on the summer road for longer. To find out more, check out the online store or speak with an expert at USA Synthetics by calling (405) 388-6170. Open your front windows, aim your air vents towards your open window, and turn on your non-powered heating. That’s right - the heating. The way this works is by venting some of the engine heat out through the cabin and then out of your windows. If you are driving in the city making lots of stops and starts, keep your air conditioning usage to a minimum. For example, five minutes of usage each hour can be enough to take the edge off the heat inside your car without putting too much strain on your engine. If the majority of your driving is done on the freeway then you have the perfect way to keep your cabin cool - open all of your windows! By opening the front windows all the way and the rear windows a small amount, the cooler air from outside can make its way in the front both keeping your cabin cool and pushing the hot and stale air out your rear windows. Ensure your oil filter isn’t clogged and can do its job. Check your tire pressure to make sure it’s appropriate. Be sure your fluids are in good condition and at the correct level. A synthetic oil change is a great way to improve the performance of your engine and help to reduce its operating temperature. By sufficiently lubricating your engine parts, a synthetic oil change reduces the friction in your engine helping it to operate more easily and with less effort. To learn more about the benefits of a synthetic oil change in Oklahoma City, OK, speak with an expert at USA Synthetics by calling (405) 388-6170. With a range of high-quality AMSOIL products to choose from, you can rest assured that USA Synthetics will make sure you get the right coolant and engine lubricants for your engine.